sKash is a mobile wallet that you download on your smartphone as a mobile app and that you use as a bank account and a payment tool. All you need, in order to activate your sKash smart wallet, is a smartphone with a Cypriot mobile number, an ID and 3 minutes of your time. sKash is smart cash. sKash is the future of money payments and transfers, and banking transactions. 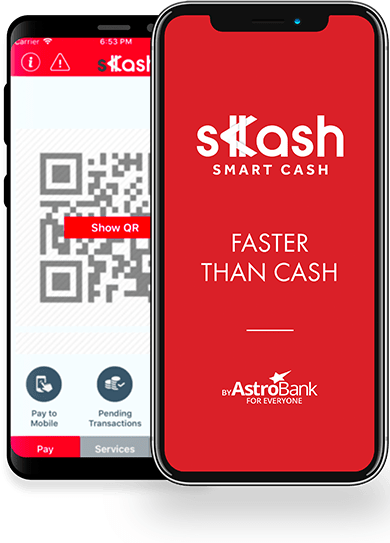 As a sKash user, you are able to send money to and receive money from your friends, ransfer money to and from any bank account, or pay your purchases and utility bills in a snap. All of this for free and across Cyprus. We are AstroBank and “we make it happen”. Through our collaboration with a top-notch FinTech services provider, with several years of experience and expertise in secure money transactions, we made it happen; we launched a Cypriot product in the local market, available and useful to every single Cypriot. Do you have any questions about sKash?